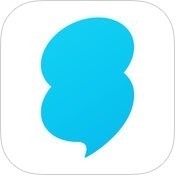 If you want to like to add funny photo stickers on your pics or fun effects to your photos, this article can help you to get some amazing and useful photo sticker apps for iPhone and iPad that help you create fun photos and add text & digital stickers on your photos. 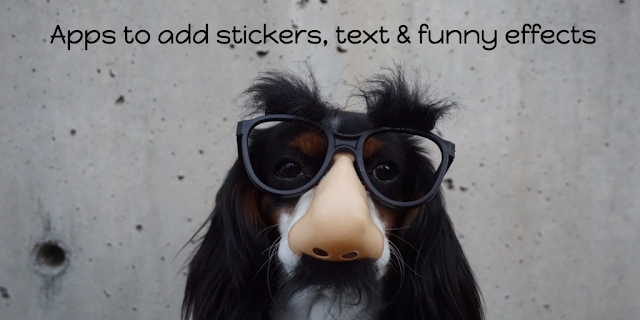 There are lots of apps to add sticker, text & fun effects to your photos on Apps Store, but we have listed only 9 best iPhone Apps to add sticker, text & fun effects to your photos. 1. PicZone editor & Stickers ( iPhone + iPad ) :- PicZone is one of the best photo sticker apps on the Appstore for creative iOS users. It comes with a variety of tools to edit and retouch your photos. If you want to add different types of moustaches, beards, hairstyles, clothes, body parts , eye glasses, funny objects or tattoos on your photos, you must try this app on your iPhone. PicZone also contains professional photo editing tools including a powerful photo collage maker tool which lets you add lots of photos into a single photo frame. You can create a photo collage with upto 50 photos. One of the best editing apps on the iOS Appstore to add funny stickers, texts, emojis and professional effects to your photographs. 2. 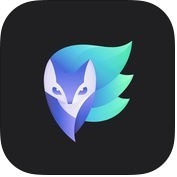 Enlight ( iPhone + iPad ) :- Enlight is one of the best, powerful and user-friendly photo sticker, text & fun effects apps for iPhone and iPad. 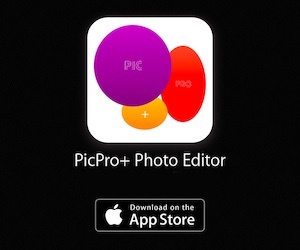 It is also more effective photo editor app. With help of Enlight app, you can create and save your own unique presets, you can reproduce the style of classic cameras and vintage film, you can add artistic touches with film intensity, grain, and fade, you can convert any image to amazing street art, you can overlay two photos to produce a double exposure effect and, you can also design unique and attractive photo collages with a variety of templates. 3. 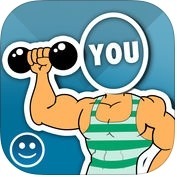 FACEinHOLE® ( iPhone + iPad ) :- With the help of FACEinHOLE app, you can put your face (body) in the hole, and turn your photo as a beautiful model, film star or a sports person. Embarrass your coworkers, you can make yourself look awesome. You can also share your attractive and funny photos to your friends and family members through Facebook, Twitter, E-mail and other social networks. 4. CatPaint ( iPhone + iPad + iMessage ) :- If you like to add cats on your photos, you can use CatPaint app on your iPhone, iPad and other iOS devices. With the help of CatPaint app, you can choose any of the hundreds of cats, cat heads, hand-drawn fine art cats, box cat and more, you can place, move, scale, flip and erase for complete control of cat placement, you can save photos to your camera roll, you can use photos from your library or take a new one and, you can also share your creation to your friends through email, Facebook, Twitter and other social networks. 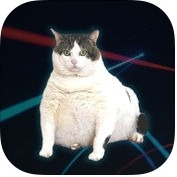 CatPaint has lots of advance features such as cats meow as they are placed, lasers! kitties are fully enabled with laser eyes, three finger swipe to delete cats and, much more. 5. 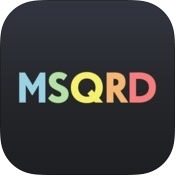 MSQRD — Live Filters & Face Swap for Video Selfies ( iPhone + iPad ) :- The filters and face swap for video selfies of MSQRD app are very amusing and realistic. With the help of MSQRD app, you can change the way you look through attractive masks and effects, you can turn into a panda, zombie or even face swap with your friends and, you can also save and share your creation photos and videos to your friends through social networks. 6. SNOW - Selfie, Motion sticker, Fun camera ( iPhone ) :- With the help of SNOW app, you can create a fun video with live face effects and send it to friends and family members, you can send a video note instantly while chatting and invite friends to a group chat, you can add a video to story to share your moments with friends, you can shoot photos or videos with animated stickers and, you can do more. SNOW is the simplest way to impress your friends with amazing and fantastic photos and videos. 7. Masterpiece Me! ( iPhone + iPad ) :- With the help of Masterpiece Me! 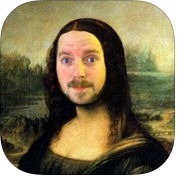 app, you can put your face into the classics! with more than 200 classic paintings, you can choose any one pic from library and insert your face or your friend's into some classic art, you can more fun with the goodies pack! 216 great things to put on top of your pictures!, with the caption tool, you can write on your pictures!, with frames pack!, you can put your completed picture in one of more than 40 great frames! 8. 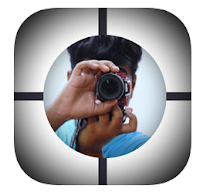 PhotoFunia ( iPhone + iPad ) :- PhotoFunia is one of the best and powerful fun photo editing apps for iPhone and iPad. With the help of this text and fun effects photo editor app, you can change yourself into a professional model, sports personality, superstar of hollywood/bollywood, dancer and other great personality. With PhotoFunia, you can use to making amazing photo collages and, make them special or original in a few seconds on your iPhone and iPad. 9. Photo Lab: Picture Editor, effects & fun face app ( iPhone + iPad ) :- If you want to make your photo funny and realistic in a few seconds, you can use Photo Lab app on your iPhone and iPad. 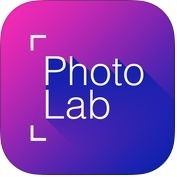 This photo lab-picture editor, effects & fun face app has lots of unique and user-friendly features such as stylish photo filters, realistic photomontages, amazing frames, fun face montages, creative artistic effects, collages for multiple photos, occasinonally or holiday e-card templates and more. It has also a built-in photo editor with useful basic tools such as crop, rotate, adjust colors, lighting, sharpness and more.